We are very proud to announce you that GRICAS got the front page of Inside GNSS May-June 2018 issue. 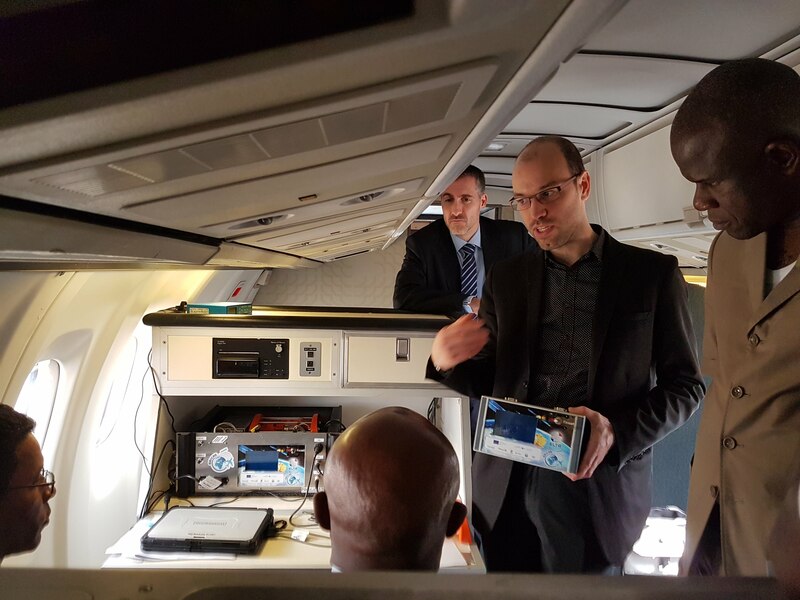 Today, it appears that the Cospas-Sarsat MEOSAR system, relying on payloads deployed on GNSS constellations (Galileo, GPS, GLONASS), offers all the conditions to meet the new recommendation of ICAO for ADT-system for Commercial Aviation, with a new generation of in-flight triggered beacons, identical to the current ELT in terms of aircraft integration, but capable of receiving triggers and cancellation events from the avionics, from the crew or from internal sensors, and of detecting and managing their inhibitions to maintain the capability to raise alerts and be localized in any situation. In this article the authors address how the Cospas-Sarsat MEOSAR system offers a solution to support the ICAO GADSS Autonomous Distress Tracking Recommendation. On April, 4th 2018, GRICAS consortium gathered one last time for the final review of the project. The meeting was held in GSA facilities in Prague, Check Republic. 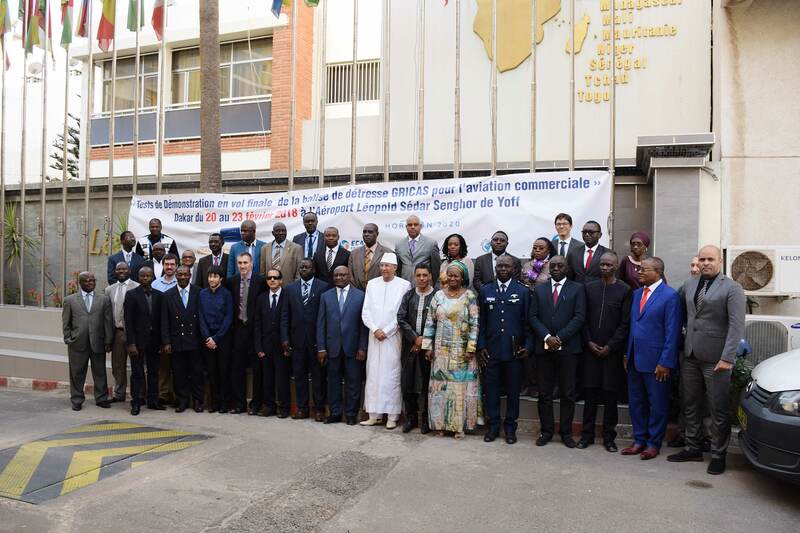 The final review was the occasion to report the success of the in-flight tests performed late 2017 and early 2018 in Spain, France and Senegal and to formulate test case exploitation recommendations to European institutions with regard to aeronautical regulation and SAR operations. An overview of the main results and outputs and impacts of the projects on GNSS community (and in particular Galileo users), SAR community and aeronautical community was presented along with the detail of the dissemination activities performed towards these communities to present and promote the use of the Galileo MEOSAR system for to answer to the ICAO recommendations for an Autonomous Distress Tracking system. Although GRICAS comes to an end after 26 months of operational concept definition, solution design, solution development and demonstrations, the outputs of the project will continue to impact the European industry and infrastructures and in particular GRICAS outputs will be major inputs to the GRIMASSE project funded by the GSA under the Horizon 2020 program (Grant Agreement N°776379), for more details about GRIMASSE follow this link. In addition, GRICAS will be present at the IMO/ICAO Joint Working Group on SAR meeting in Seattle in September 2018 to present in details the results of the flight tests and the recommendations of the project regarding the Cospas-Sarsat MEOSAR-based Autonomous Distress Tracking System. Finally, GRICAS outputs will be valuable inputs for the EUROCAE Working Group 98 Sub-Group 1 that works on the definition of a MASPS for the Aircraft ELT Return-Link Service. After an intense and successful in-flight test campaign performed during 2017 (with 4 field trials in April, July, November and December), GRICAS project team completed the test activities with an exceptional flight test hosted by ASECNA in Dakar, Senegal, on Friday, 23rd of February 2018. For this very special occasion, GRICAS consortium members (Thales Alenia Space, PILDO Labs, ECA Group-ELTA, STMicroelectronics, CNES and ASECNA) received the support of Mr. Mohamed MOUSSA, General Director of ASECNA, and Mr. Jean-Yves LEGALL, President of CNES and President of Administration board of GSA, who participated to the flight test. An ELT-DT prototype (distress tracking) based on a Second Generation COSPAS-SARSAT distress beacon representative of what a real ELT-DT could be (in terms of electronic components, mechanical and functional interfaces and functions implemented) integrating a GNSS chipset TESEO III, Galileo and GPS compatible. A remote control panel for the ELT(DT) based on the existing remote control panels for ELT present in the cockpits. 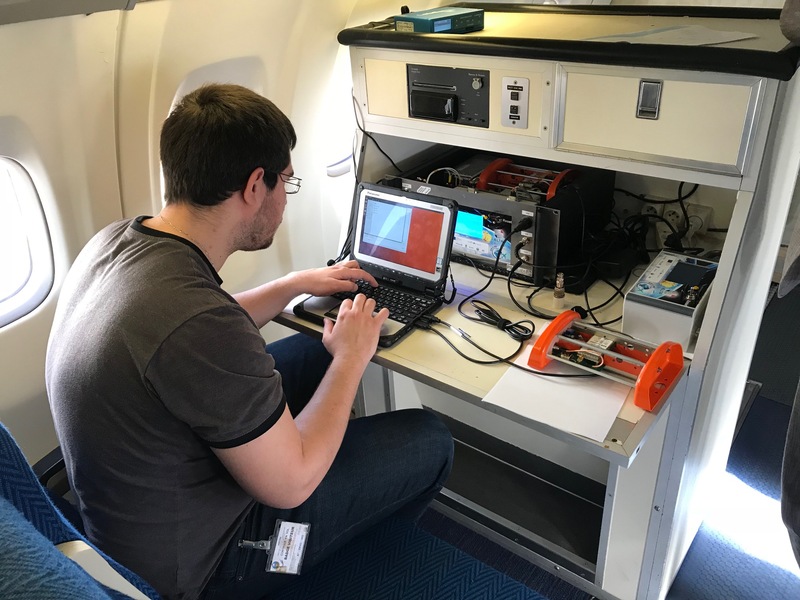 An on-board demonstration platform emulating the Beacon Activation Logic (based on avionics) and then sending the automatic triggering commands to the beacon and the GNSS receiver of the avionics (GPS only). The ODP also provides the logging functions and the GNSS reference trajectory. 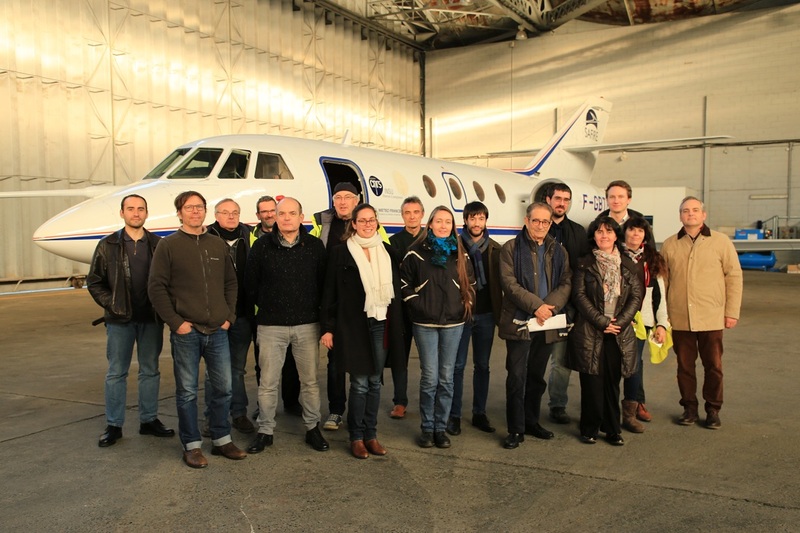 Friday, 23rdof February was expected by the entire consortium and supporters of the SGB solution for Autonomous Distress Tracking as it was the first time a demonstrator representative of what a Cospas-Sarsat ELT(DT) could be was activated automatically on-board a commercial aviation aircraft. One of the conducted scenarios was based on an altitude threshold representative of a distress scenario: when the aircraft went beyond the threshold altitude considered as an unusual flight altitude, all the participants witnessed the automatic activation of the beacon that initiated transmission of an alert message to inform the SAR responders of the in-flight distress. 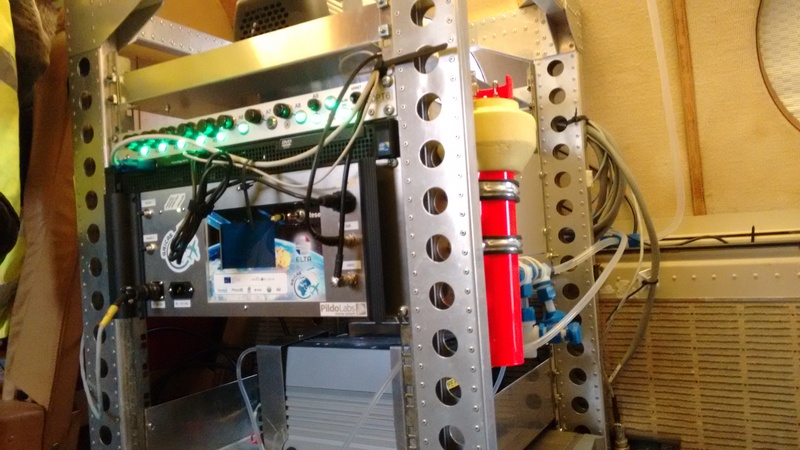 The beacon transmitted an alert message, received and processed by the GRICAS MEOLUT localized in Thales Alenia Space facilities in Toulouse and the French commissioned MEOLUT localized in CNES facilities in Toulouse as well, more than 3600km far from Dakar. Despite these conditions degraded compared to Cospas-Sarsat requirements (the nominal Coverage Area of the French MEOLUT is 3000 km), the performances of the French MEOLUT wereremarkable and the detection probability for the tests was close to 100%, knowing that current Cospas-Sarsat specification requires a detection probability of 95%. Moreover, the localization performances are also excellent and significantly better than the specification Cospas-Sarsat T.019 of 5km at 95%, as it can be seen in the table below. 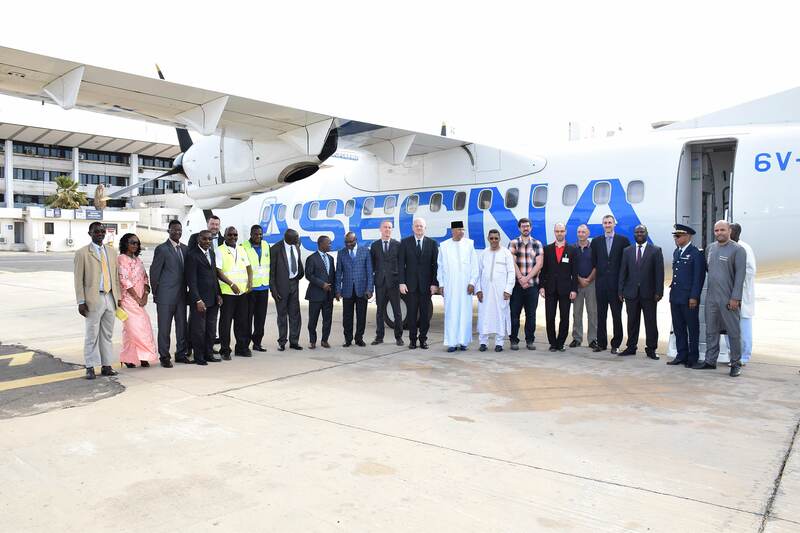 Mohamed MOUSSA declared « The demonstration tests of these distress beacons mark the beginning of a new step in the development of an autonomous and performing alert system on-board aircrafts to identify in real-time in-flight distress situations.». 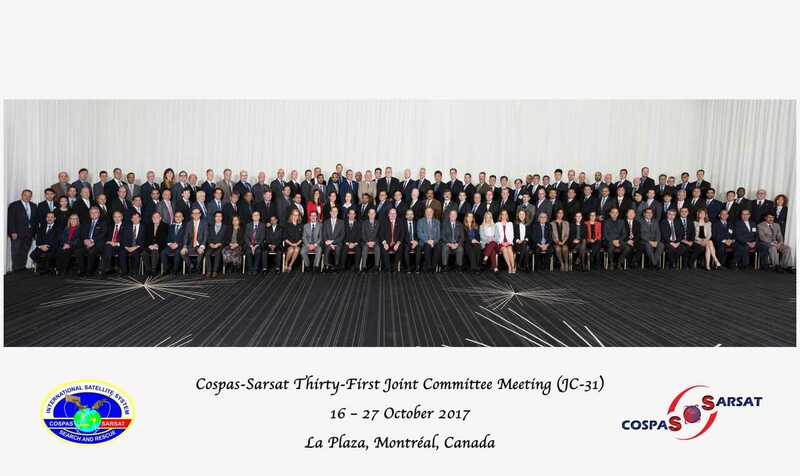 The complete results of the tests will be presented by Thales Alenia Space to the Cospas-Sarsat Expert Working 1 in April 2018 in Montreal. The participation of GRICAS partners to C/S meetings has been very much appreciated.The quality and relevance of the presented papers (all addressing major agenda items) were highlighted several times by the Secretariat of C/S and the key delegations (Canada, USA, Russia, France, United-Kingdoms…).The involvement of GRICAS consortium and the operational and technical approach led to excellent working relationships with the JC participants. GRICAS consortium, in particular through Thales Alenia Space representation,distinguishes itself from its competitors with a dual approach well balanced between operational and technical problematic. It is now known as a COSPAS/SARSAT partner looking for solution fitting the expressed needs and difficulties of the SAR operators. Its contribution to the Operational Working Group is valued and appreciated as much as its participation to the Technical Working Group. GRICAS consortium took the opportunity of a SAR responders splinter gathering most of the SAR operators attending the C/S JC-31 to remind them of the necessity to express their needs and difficulties in SAR operations so that Research and Development projects like GRICAS and future H2020 European projects of GSA can work on developing appropriate solutions and make C/S MEOSAR and Galileo SAR the best solution to SAR challenges. 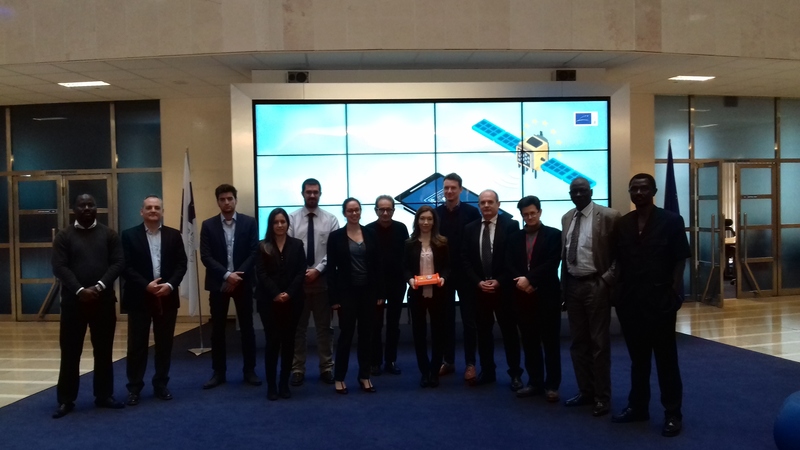 Finally, C/S participants are now looking forward to hearing from GRIMASSE project progress as they expect GRIMASSE consortium to pursue for General Aviation the actions initiated with GRICAS to help bring C/S MEOSAR and Galileo SAR to their best potential.